This was a delicious and versatile recipe that we enjoyed several different ways recently. 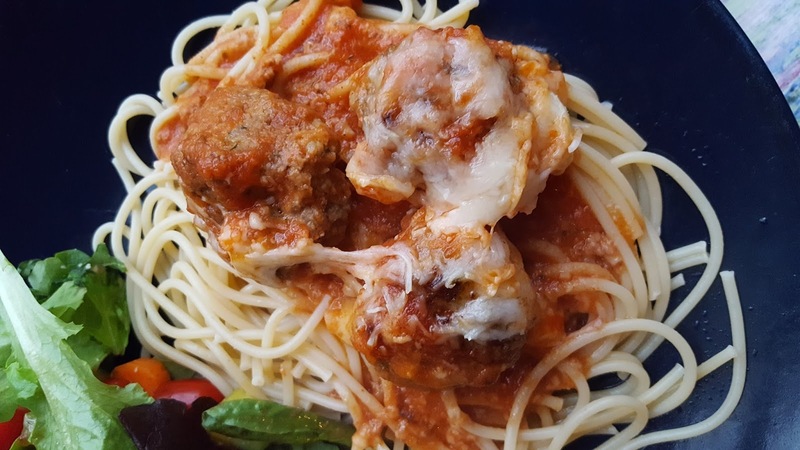 These were delicious served over spaghetti noodles, and especially stuffed into hoagie rolls and baked off with an additional sprinkling of parmesan and mozzarella! Life has been passing by quickly lately - we're approaching Kent's high school graduation, hopefully which will occur in about a month's time. He's been struggling this school year. He's so tired much of the time. I'm anxious to get him through this year so we can have more time and energy to refocus on therapies. He will benefit tremendously from that. His energy levels are a constant struggle for him. We did manage to squeeze in an overnight recently at my favorite getaway, Southern Cross Guest Ranch in Madison, GA. It wore him out, but he did great and I was glad he chose to come. He was able to get a little aqua therapy in at the pool which is really, really good for him. Combine ground beef through milk in a large mixing bowl and gently combine. Heat oil in a large nonstick skillet over medium to medium-high heat. Form approximately 20 meatballs and fry in small batches, rotating the meatballs to evenly brown them on all sides (about 1-2 minutes per side). Prep a 9x13 dish by spreading a small amount of sauce on the bottom. Place browned meatballs in the dish. When all meatballs are browned, pour remaining sauce over the top of the meatballs. Sprinkle the cheese evenly over the top. Cover with foil. 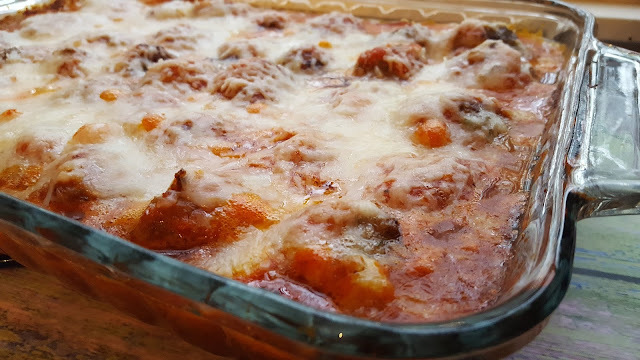 Bake in the preheated oven for 25-30 minutes, until meatballs are cooked through and cheese is melted, and sauce is bubbling. This looks delicious! It is sure to be a dinner time favorite! Thanks for sharing!